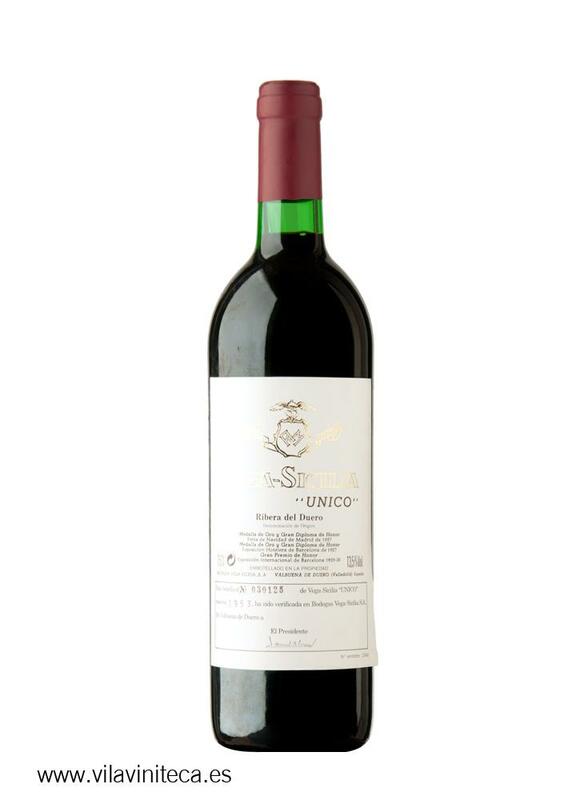 The 1953 Vega Sicilia Único ($1,587.97) is a red wine from Ribera del Duero produced by Vega Sicilia vinified with tinto fino and cabernet sauvignon from 1953 and has an alcohol content of 13%. The 1953 Vega Sicilia Único is the ideal red to combine with foie and bar-b-q. At Uvinum, this red wine scores an average rate of 4 of 5 points. - View: ruby ​​brownish middle layer, covered, dark, though without precipitates, coppery highlights, with little brightness, wide edge, completely atejado. - Nose: powerful, expressive, highly concentrated, syrupy notes animal kingdom, hunting, faisandaje, black fruit, toasted, burnt coffee, licorice. - Mouth: ripe, caressing, with polished tannins, great maturity, fine, silky, integrated, without the edge minimal. GRAPES: 70% tinto fino, 20% cabernet sauvignon, 10% merlot and malbec. Red primary color with violet hints. Nice smell of cherries. Powerful taste of wild berries. The goes fine with game meats. I like sharing this red Ribera del Duero with someone special. 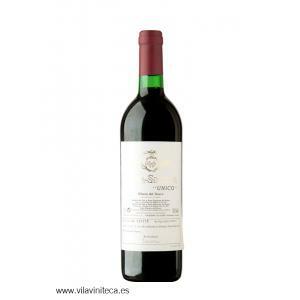 If you want to buy 1953 Vega Sicilia Único, at Uvinum you will find the best prices for Ribera del Duero red wine. Get it at Uvinum, wherever you are, via your mobile device or computer. We offer over 59.000 products on sale which makes us leaders in the sector of selling wine, beer, and spirits in Europe with 38.000 clients who discovered their favourite wines at Uvinum.